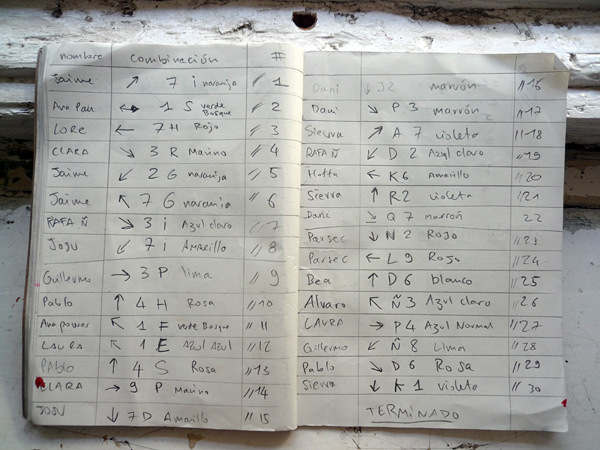 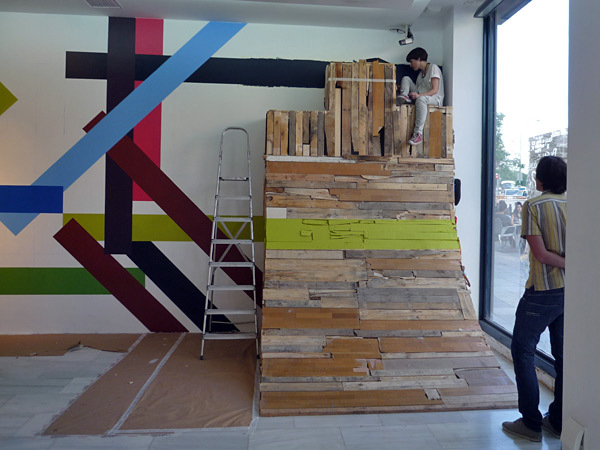 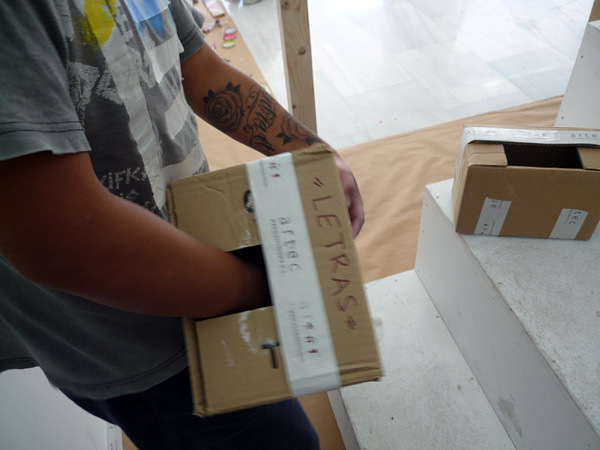 The first Script experiment, Script 1.0, took place at the Spanish Cultural Center in Buenos Aires in April 2010. 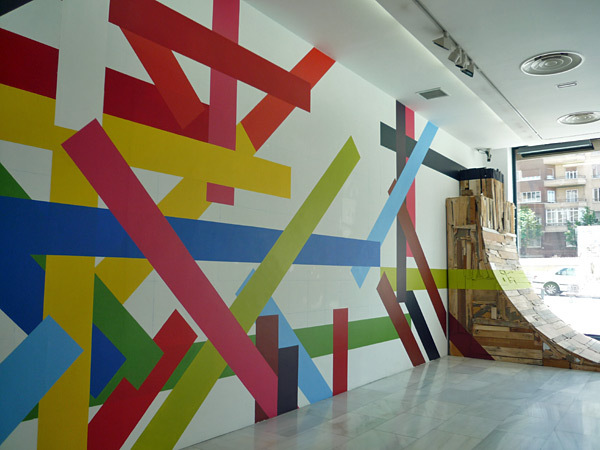 Script 1.1 was run in Delimbo Gallery in Seville in April 2010 as well. 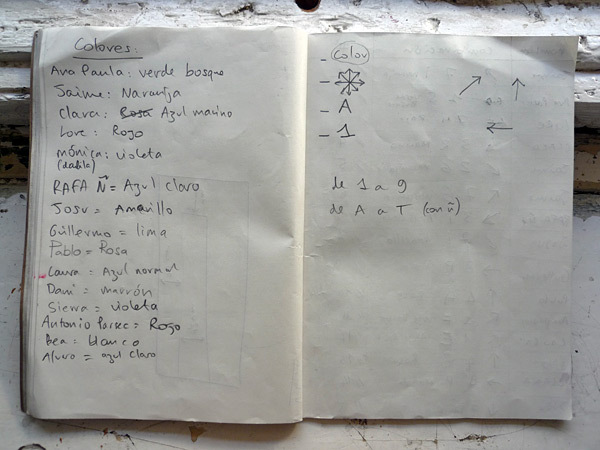 With the same idea, I started Script 1.2 for my show in Sala de Arte Joven 2.0. 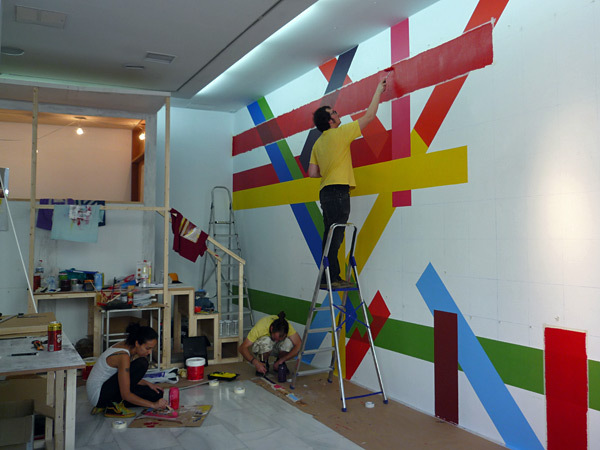 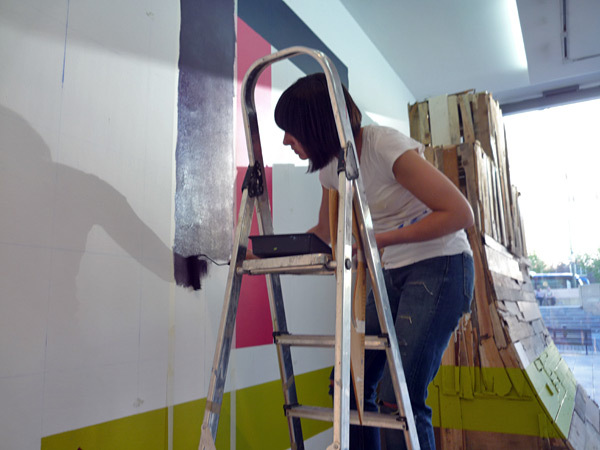 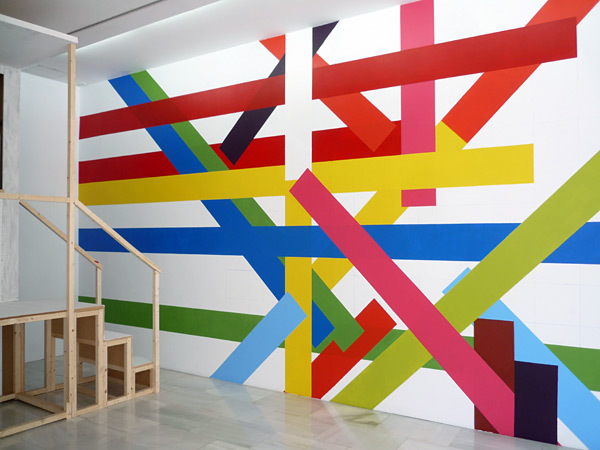 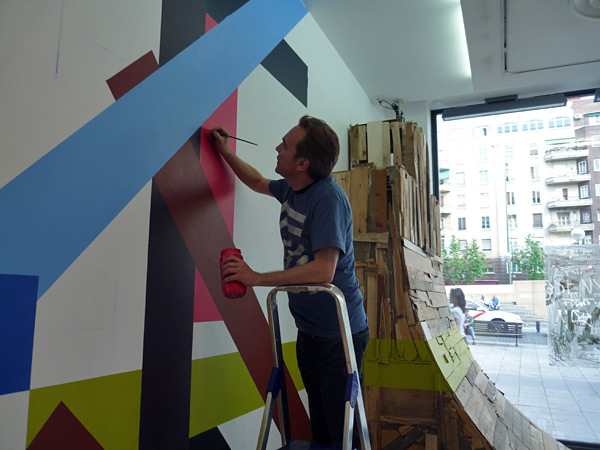 The idea was to paint the largest wall in the gallery between all participants. 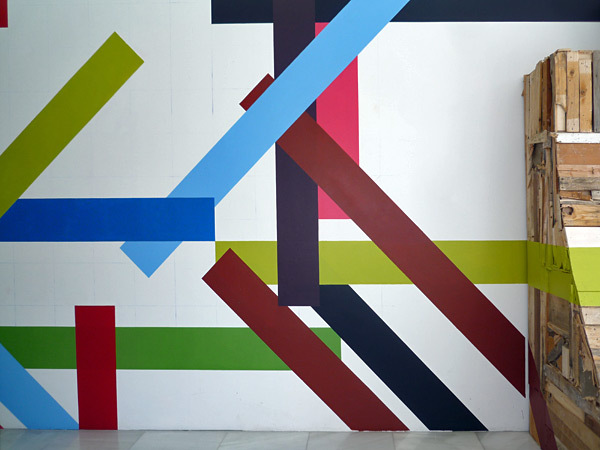 Each collaborator chose a color and painted stripes following precise rules. 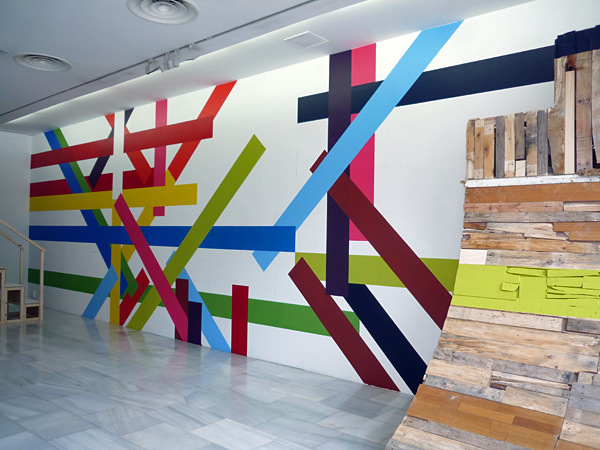 Thus each individual executed the script while at the same time watched as the mural was “automatically” painted. 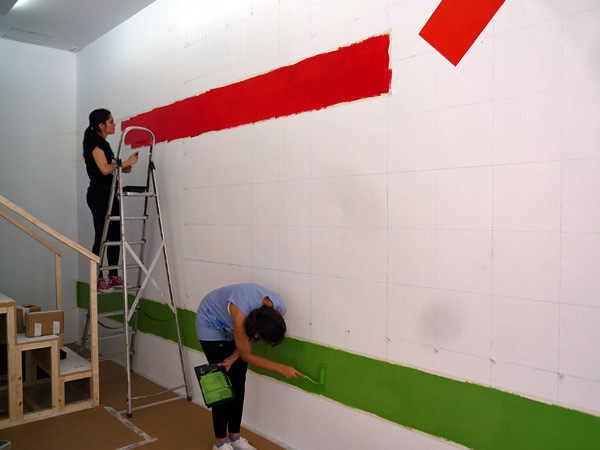 A grid was marked on the wall and each person chose the color they wanted. 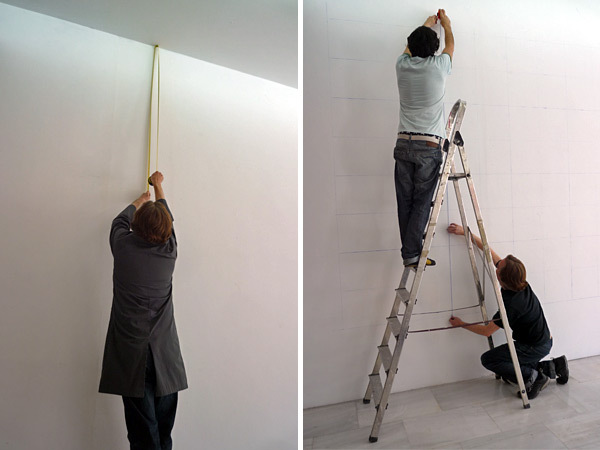 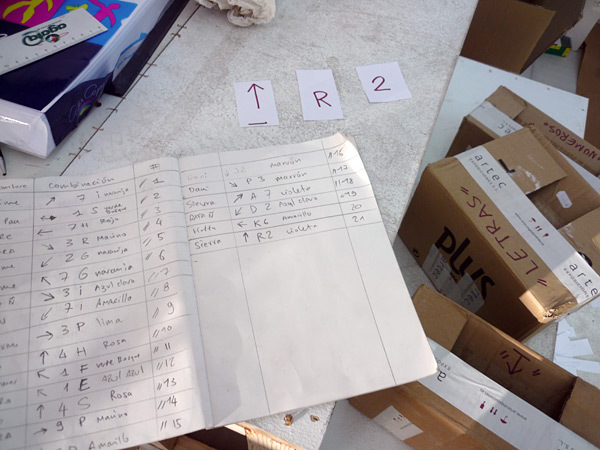 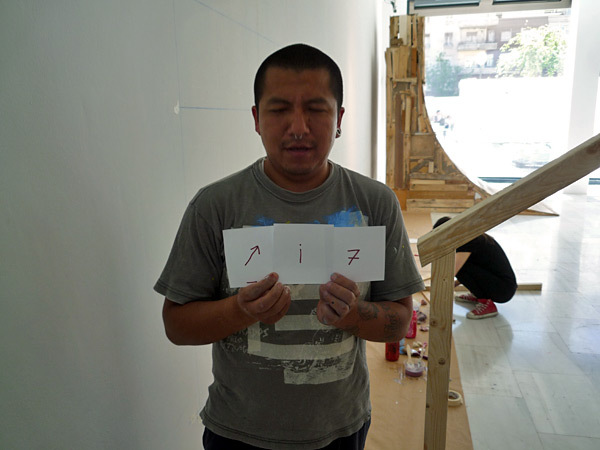 Before beginning to paint, a random process was used to give each person a coordinate for their line (x, y) so they would know their starting point and direction. 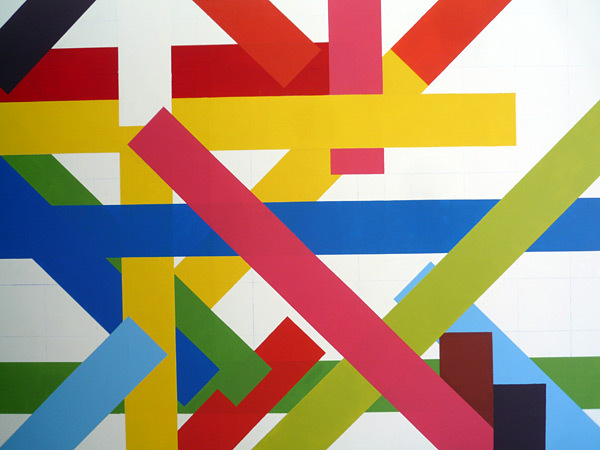 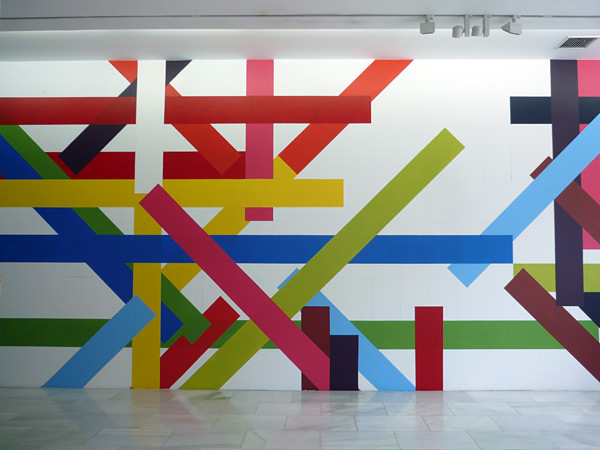 Over the course of 7 days, 30 lines were painted in 12 different colors by 12 people.